X-Men: Apocalypse is packed full of easter eggs and comic book references - from a prologue that hints at the presence of alien tech, all the way through to a post-credits scene that teases the next big villain in the X-Men universe. There are so many details to spot, in fact, that it's easy to miss some of them on a first, second or even third viewing - and sometimes you won't be able to spot them until you know exactly what you're looking for. 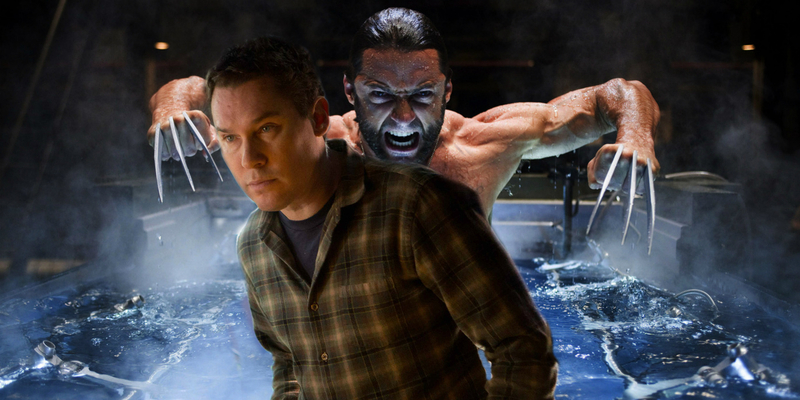 Now, director Bryan Singer has given X-Men fans a reason to go for a repeat viewing of Apocalypse by revealing that he actually has a cameo in the movie - though it doesn't end very well for him. Speaking on the Empire Film Podcast, Singer revealed that he appears on screen during the sequence in which "Weapon X" a.k.a. Wolverine (Hugh Jackman) is set loose by Jean Grey (Sophie Turner), Cyclops (Tye Sheridan) and Nightcrawler (Kodi Smit-McPhee). Wolverine's first instinct is to go on a rampage, killing any guard unfortunate enough to get in his way - including a soldier with a machine gun that happens to be the movie's director. "I have a little cameo, I'm the guy with the machine gun... screaming. When I look at it, I couldn't recognize myself so I knew no one else could. But it was cool to get killed by Wolverine. It's now one of the many things I can put on my resume." This isn't Singer's first cameo in an X-Men movie, of course; he can also be seen (rather appropriately) holding a film camera in X-Men: Days of Future Past following Mystique's failed attempt to kill Bolivar Trask, and he appeared as a prison guard in 2003's X2. Getting slashed to death by Wolverine might be his most dramatic role to date, however. For a long time it was unclear whether or not Jackman was going to make an appearance in X-Men: Apocalypse, though since he had appeared in every X-Men universe movie so far (even Deadpool... sort of) and has been the star of several solo movies, no one was too surprised when the claws came out in the final trailer. Singer went on to explain that the Wolverine sequence was filmed as part of the reshoots, since at the time Jackman was already getting jacked for Wolverine 3. "We went back later to film the Wolverine segment because Hugh was training for the next Wolverine sequel and we wanted him in a certain kind of shape. At first, Hugh was reticent to do it, but once I explained it to him, what the scene is and why it's there, he agreed to do it over the phone, which is unusual. Usually there's a bit of negotiation involved, but he said 'You can call my agent, but I'm in, I love it.'" Wolverine's appearance is already one of the more memorable scenes in X-Men: Apocalypse, and now fans have one more reason to go back and watch it carefully.